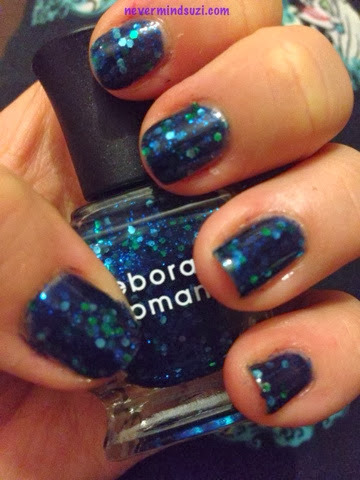 Deborah Lippmann is a fairly new brand to me. Usually beyond my price range but thanks to the bargain busting TK Maxx I've acquired 12 as of late!! 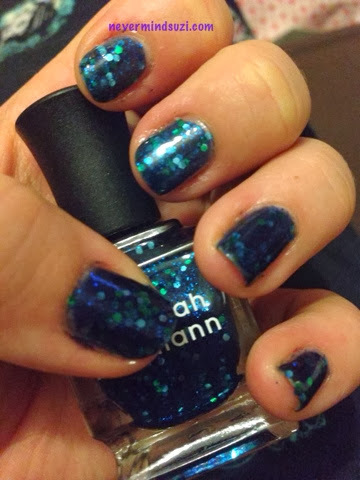 Across the Universe is a navy jelly with blue and green glitters. I didn't have to use any undies. I do like an opaque jelly it gives the polish a lovely depth. I will say however if I hadn't gotten this cheap (£4 to be exact) and had paid full price, I'd have considered myself a mug!